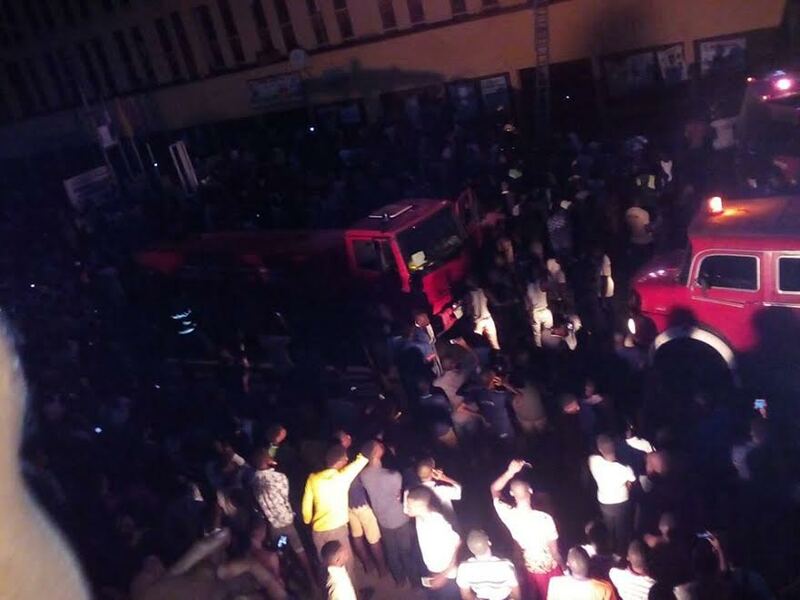 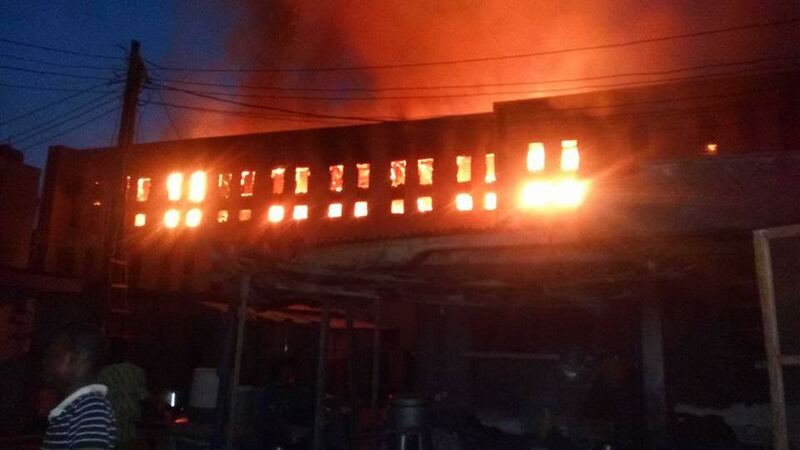 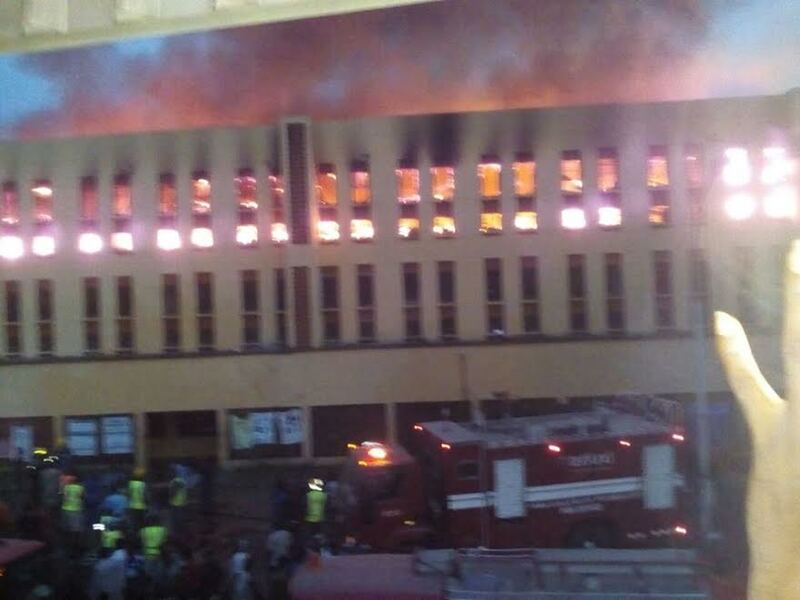 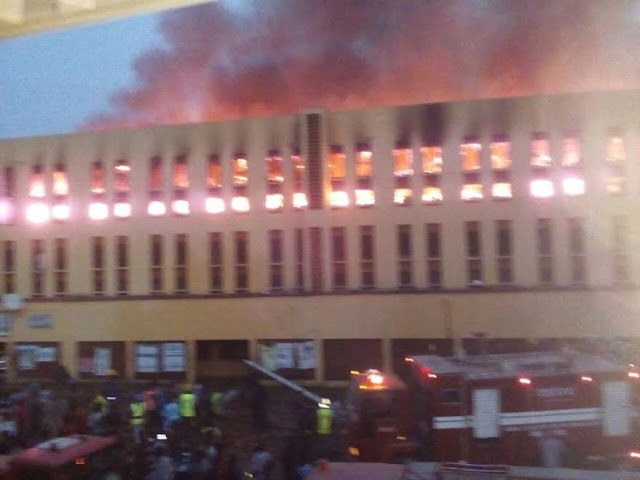 Pics: Fire outbreak at Yabatech Bakasi female hostel this morning. 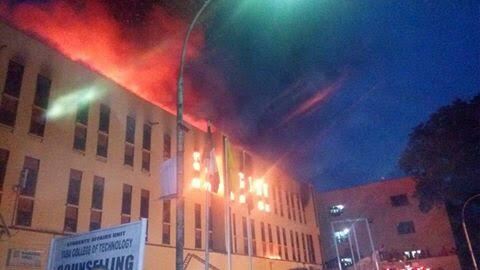 One of the female block of hostels (Bakasi Hostel) at Yaba College of Technology, Lagos, was on fire as at 5am this morning. The cause of the fire is yet unknown but according to several eyewitnesses, the fire wasn't serious at first, but due to the sluggish response of the Fire Service, the fire consumed most part of the building before they arrived. 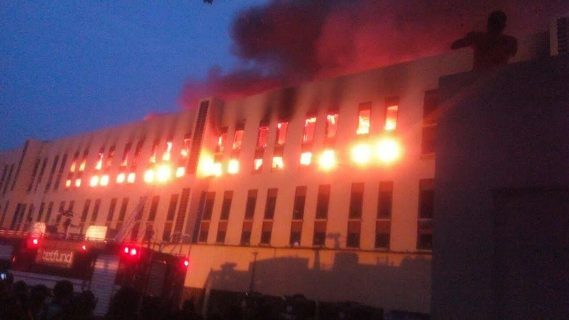 Thankfully no life was recorded lost but a few people were injured and a lot of student document and property were consumed by the ragging fire.